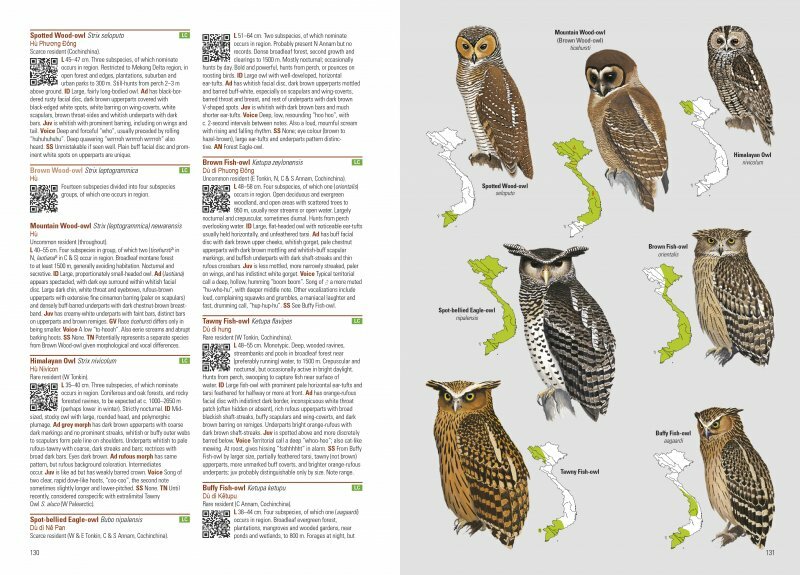 przedstawiająca ptaki Azji Południowo-Wschodniej (kolejny tom to Japonia), później być może kolejne rejony geograficzne. Przedstawionych zostało tu 911 gatunków; 37 endemitów czy prawie endemitów, 2 introdukowanych, 71 zalatujących sporadycznie. Cena wydawnictwa dość wysoka, jednak wysokiej klasy ilustracje, nawiązanie elektroniczne do materiałów Ptaków Świata, świetna szata graficzna, powinny wzbudzić zainteresowanie tym przewodnikiem. 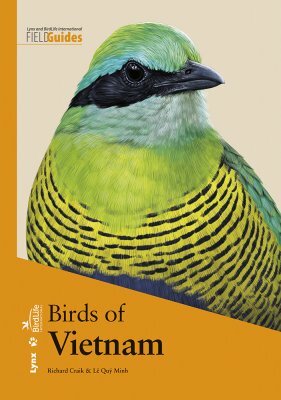 For birders, Vietnam is unquestionably one of the key countries in Asia. 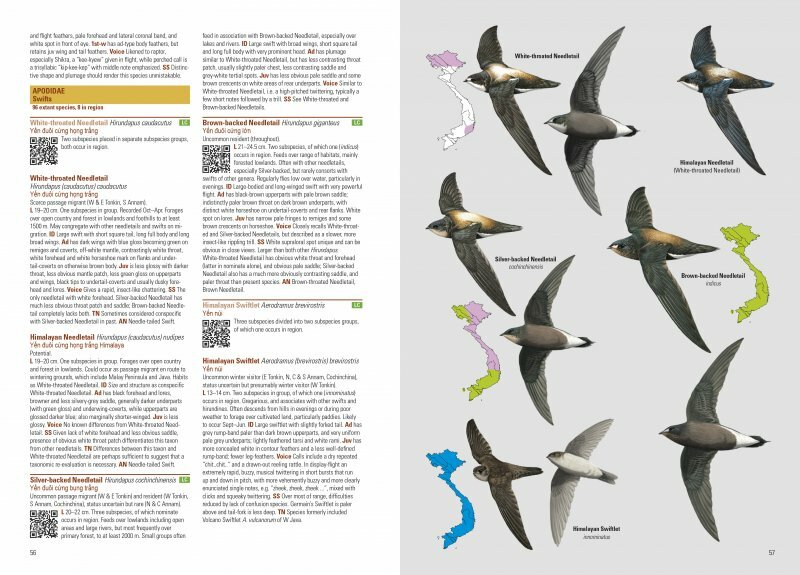 While its avifauna of just in excess of 900 species is rather overshadowed numerically by some of its near neighbours, especially China and Thailand, nine of these are found nowhere else on Earth plus another 27 are almost endemic to the country and ten well-marked subspecies groups are also unique to Vietnam. 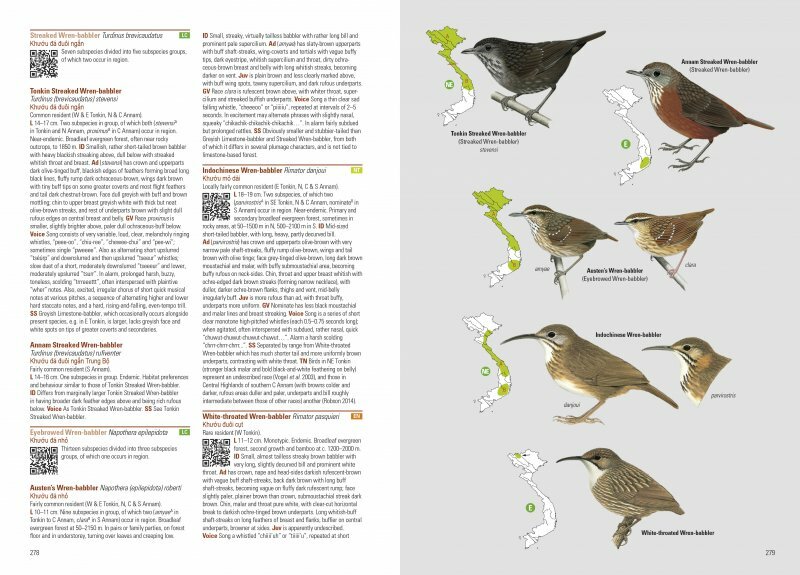 Among these specialties are several species new to science discovered at the end of the 20th century, like Chestnut-eared and Golden-winged Laughingthrushes, or species rediscovered after long periods without records, such as the enigmatic Grey-crowned Crocias, all of them the result of a renewed wave of ornithological exploration in the decades since the end of the Vietnam War. 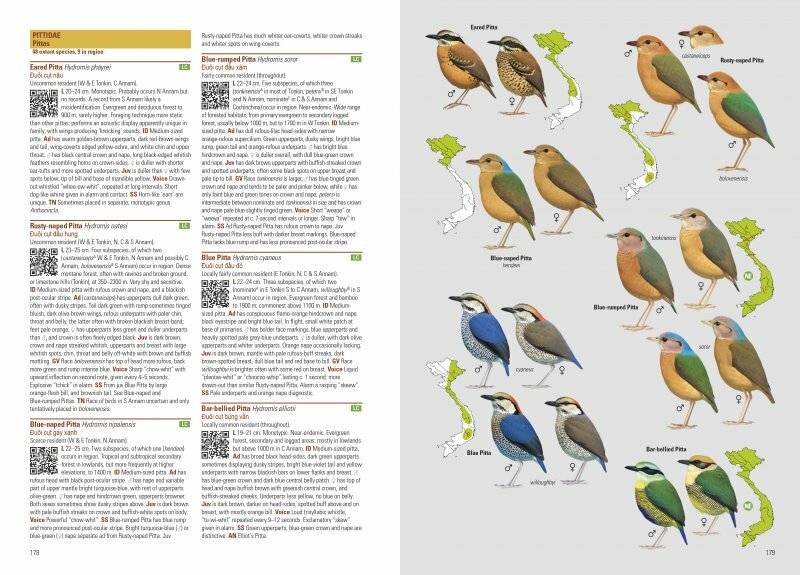 This field guide, the first uniquely dedicated to the country’s rich birdlife, describes all recorded species in text and illustrations, with distribution maps for all except vagrants. Almost 1900 illustrations covering all species and distinctive subspecies, birds in flight, males and females, juveniles and non-breeding plumages, where appropriate. 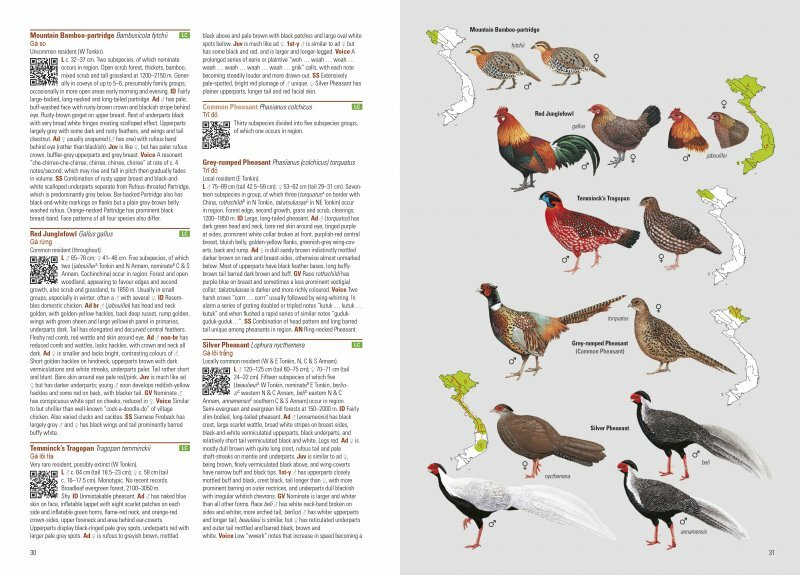 More than 870 full-colour range maps for all species other than vagrants.